After effects of ASEAN ECONOMIC COMMUNITY. A common task every member is now doing is getting to know its neighbors as much as possible as they will become one big family with more traders and travelers crossing more freely across borders as soon as AEC offi cially commence. If you aren’t prepared for the event, you might get a culture shock, especially when everyone is speaking English! Myanmar is one of the exciting ASEAN members. The country has undergone a major political change from dictatorship to democracy and opened its border up to the world once again. The world is getting smaller and you’ll be left behind if you don’t join the world. Myanmar made a statement by building a new capital city, Naypyidaw, to say to the world that the country is ready to embrace trade, investment, and tourism in order to develop the country and improve the livelihood of all people in Myanmar. 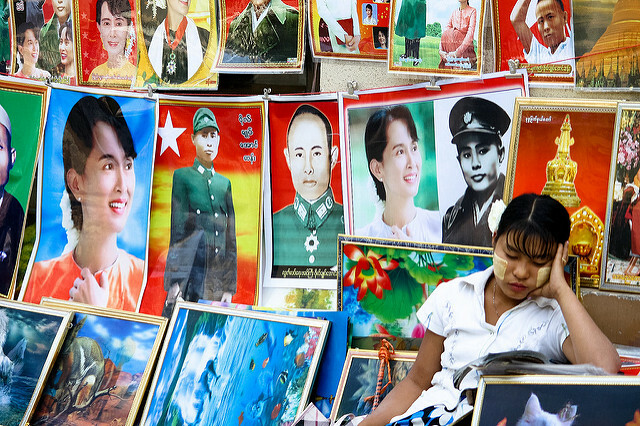 Having only established in 2008, just a few people can correctly paint the picture of Naypyidaw. However, investors are rushing into this new gold mine of opportunity, so the planes going in and out of Naypyidaw are full of foreign investors with suits and ties. And as a newly built city, tourism is not yet the main focus of Naypyidaw. My twin turbine flight took off from Suvanabhumi Airport, Bangkok, through the thick monsoon clouds. It was quite an exciting ride because our plane was quite small and we experienced a lot of turbulences all the way to our destination, Naypyidaw. A couple of hours later, vast plain of green rice paddies revealed themselves as we descended below the clouds. It was a picture of infinite rice paddies as far as eyes can see. There were no skyscrapers or any sign of a city, except the Naypyidaw International Airport which literally sits in the middle of an expansive plain of rice fields. Before we takes off on an exploration, lets get to know a little more about the new capital city. The idea of moving the capital city from Yangon to Naypyidaw was carried out by Senior General Than Shwe because Naypyidaw is geographically located right in the middle of the country and it’ll be more convenient. The construction began in 2002 with Myanmar’s military government hiring at least 25 construction companies to build new facilities and utilities. Six years later, the new city was officially incorporated on 27th March 2008. Naypyidaw means “Royal Capital” or “Abode of Kings” and it’s is now the center of government administration. The new capital is connected to Yangon by almost 320 km of massive 8 lanes highway, and it’s the 3rd largest city in Myanmar, after Yangon and Mandalay. And surprisingly, Naypyidaw is one of the top 10 fastest growing cities in the world. Naypyidaw lies between Bago Yoma and Shan Yoma mountain ranges with approximately 7,000 square kilometers of land. The city itself is divided into residential, hotel, military, ministry, and military zones. You’ll need a car to get around the city or hire a taxi for a day for around $80 – $100. Alternatively you can rent a motorcycle, although I wouldn’t advise because each attraction is quite spread apart. The hotel zone consists of only a couple of hotels and shopping malls, and it would take 30 minutes or more to get to an important tourist attract or a market! You might wonder why they are so spread apart. My guess is it’s more convenient to manage everything into zones and they have a lot of space! They might also want to showcase the super road that is 10 – 20 lanes wide! The smallest road is at least 10 lanes with an additional motorcycle lane, while the largest road is the massive 20 lanes road in front of the parliament. You have to see it to believe it! Modeled after the majestic Shwedagon Pagoda in Yangon, the most predominant landmark and tourist attraction in Naypyidaw is the Uppatasanti Pagoda. Although it’s a replicate, the Uppatasanti Pagoda is a foot shorter than its original because the government doesn’t want it to be bigger than the country’s iconic landmark and religious symbol. The first impression I got at Uppatasanti Pagoda is its grandeur. The pagoda is gigantic and you can easily spot it from afar. As you drive closer and closer, the majestic golden pagoda could propbably be compared to the great pyramid of Egypt! No matter who you are, shoes have to be taken off when you walk up the stairs leading to an expansive area with the golden pagoda in the middle. When you get so close to the pagoda, the only way to see the top of it is to bend your head backward as far as you can. 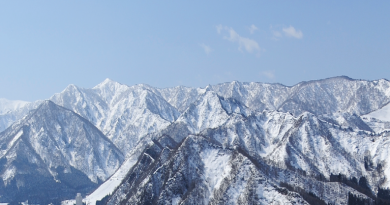 Beside its height, the massive pagoda would take 15 – 20 minutes to walk around its base! 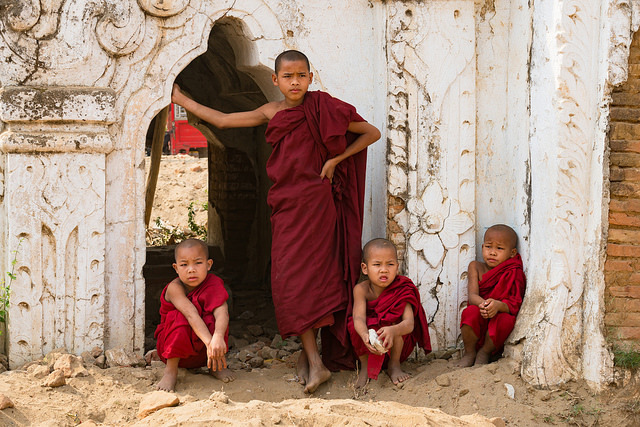 As the people of Myanmar is very religious, you would always see locals with flowers and incense in their hands. The men would dress in white long sleeves top and a salong while women would be in their tidiest dress. It’s very common to see men chew on betel nuts and women with thanaka powder on their cheeks. So is you want to see beautiful traditional Myanmar dress, temples and Uppatasanti Pagoda are the places to experience it, especially on important religious days.. Modeled after the majestic Shwedagon Pagoda in Yangon, the most predominant landmark and tourist attraction in Naypyidaw is the Uppatasanti Pagoda. Although it’s a replicate, the Uppatasanti Pagoda is a foot shorter than its original because the government doesn’t want it to be bigger than the country’s iconic landmark and religious symbol. The first impression I got at Uppatasanti Pagoda is its grandeur. The pagoda is gigantic and you can easily spot it from afar. As you drive closer and closer, the majestic golden pagoda could propbably be compared to the great pyramid of Egypt! No matter who you are, shoes have to be taken off when you walk up the stairs leading to an expansive area with the golden pagoda in the middle. When you get so close to the pagoda, the only way to see the top of it is to bend your head backward as far as you can. 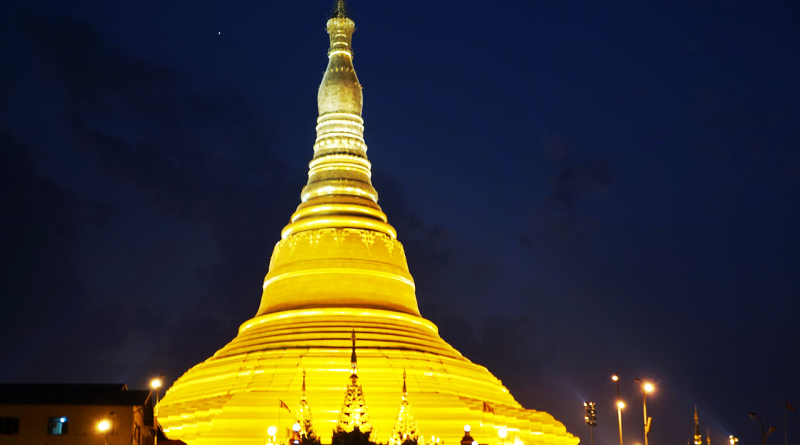 Beside its height, the massive pagoda would take 15 – 20 minutes to walk around its base! As the people of Myanmar is very religious, you would always see locals with flowers and incense in their hands. The men would dress in white long sleeves top and a salong while women would be in their tidiest dress. It’s very common to see men chew on betel nuts and women with thanaka powder on their cheeks. So is you want to see beautiful traditional Myanmar dress, temples and Uppatasanti Pagoda are the places to experience it, especially on important religious days..
ppatasanti Pagoda is where White Jade Buddha is kept. The inside is a large hall with extra high ceiling and 4 doors, one to the north, south, west, and east. This kind of pagoda is called a “Temple Pagoda” while pagodas that you can’t go inside are called “Solid Pagoda” which most pagodas in Bagan plains are. Just steps from Uppatasanti Pagoda is an important elephant house in Myanmar. The elephant house is home to 5 – 6 rare white elephants which are Myanmar’s national animals. These elephants are treated extremely well as the people in Myanmar believes white elephants are elegant animals for kings. Hiring a taxi for a day is the best way to travel around Naypyidaw because each zone is enormous and far apart. Most attractions are in the hotel zone, but you can drive to see what residential, ministry, and military zones are like although there won’t be much to see and you are not allowed to take pictures in those zones. Naypyidaw has 2 Olympic standard sport stadiums built for the 27th SEA Games in 2013, but you might be disappointed to learn that the stadiums only open during big sport events. Our driver mentioned that the stadiums are closed since SEA Games ended! This is probably because Naypyidaw is still quite new and has little population. 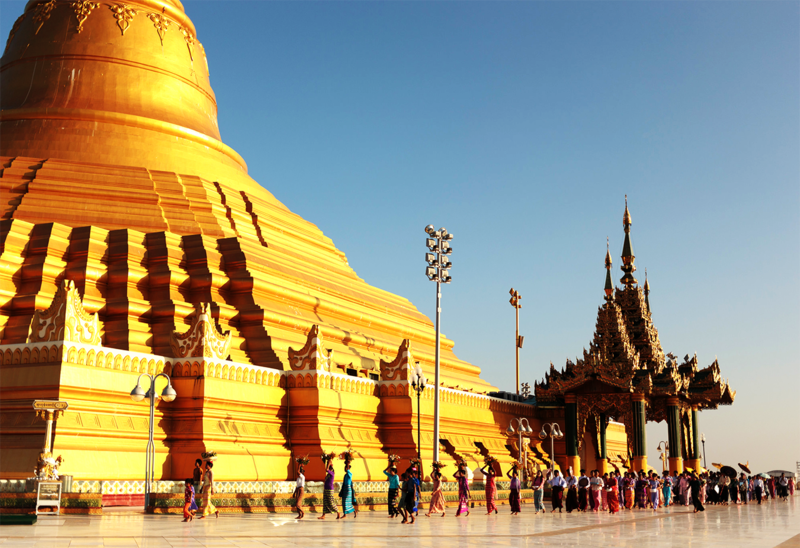 Although Naypyidaw is the center for government administration, there are still many attractions to see. The next morning, I woke up early to catch a 30 minute motorcycle ride to the Morning Market. Here, you can see the unseasoned lifestyle of the people. See how they eat, think, talk, use, or travel around. Everything happens at the morning market! The morning market was more active than I had expected. It’s separated into 2 zones, indoor and outdoor zones. The indoor zone sells mostly dried food, cloth, and everyday use items, while the outdoor zone is where you can find fresh vegetables, fruits, meat, flowers, and exotic wild food. Tourists don’t usually come to the morning market, so I knew from the face and actions of the merchants I was quite the talk of the market even though I don’t understand Burmese. Here, I tried a common Myanmar food called mohinga (rice noodle in soup) and it was one of the most impressive dishes in Myanmar. If you love shopping, Naypyidaw’s day market, evening market and fruit market will easily leave your wallet empty, especially if you love to try exotic food. 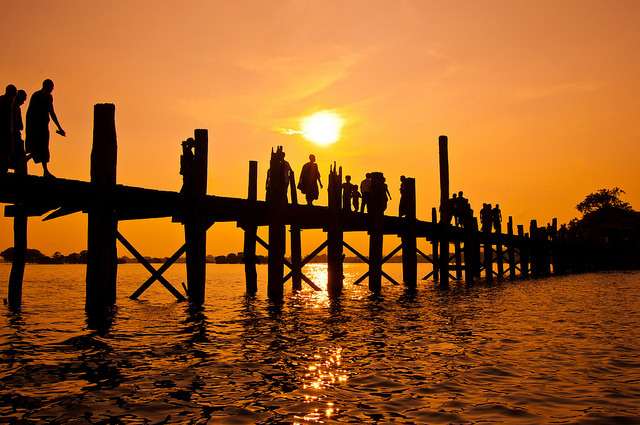 You’ll get to see the daily life of the people as well as try traditional flavours of Myanmar. I grew quite fond of Myanmar sweets which are dried bread or fruits, perfect with Myanmar’s instant 3 in 1 tea I bought at the market. 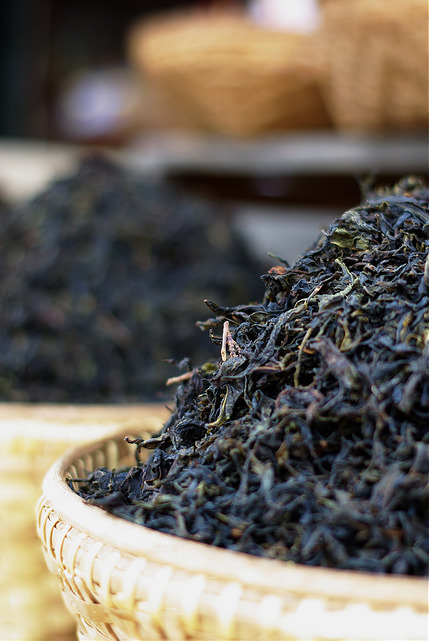 Myanmar’s tea culture is influenced by Indian tea culture, so there is no surprise why they taste very similarly, and you can see a lot of people spend time relaxing at local tea shops. A day in Naypyidaw gone by very quickly as a lot of time was spent in the taxi. I got to see the traditional life of rice famers in between the ride from one zone to another. It was monsoon season and the farmers were planting their second crop while their first harvest were being processed right there beside the road. It was an extraordinary and rare scene today to see the whole community help one another one field at a time. But more impressively, it felt like going back in time as the farmers still use buffalo and wooden cart to transport their harvest and get around. Although it was monsoon season, the afternoon sun was still blazing hot. So what could be better than going to a cooling, air-conditioned, shopping mall! Capital Hypermarket and Junction Center are the only 2 shopping malls in Naypyidaw, and of course they are located in the hotel zone. I was quite surprised to learn that taking a photo is not allowed in both shopping malls, though you can still take photos outside. The shopping malls are quite a big symbol of Myanmar’s effort in trying to catch up to the world, even though they aren’t state-of-art. Here, you can escape the heat and anything from food, fashion, shoes, to mobile phones. What I found interesting was the mix of traditional and modern lifestyle where the people still dress in salong and chew betel nuts while they shop for modern clothes and mobile phones! As I left the shopping mall, dark clouds were gathering up for a heavy pour but I still didn’t want to go back to the hotel. I asked my taxi driver to take me to the Water Fountain Garden which is where young people and families go to hang out and relax by the small ponds, children playground, or the fountain. The fountain is the main attraction here as people would gather here at 7 PM sharp to see the spectacular water dance every day. Every trip must have an end and it was time to say goodbye to Naypyidaw. If you plan to experience Naypyidaw, don’t compare it to other capital cities in the world because Naypyidaw has its own charm, and I love the simplicity of this unique city. The weather pattern is similar to other ASEAN countries. Monsoon season starts around May – October and the best time to go is in winter or summer, or in November – April. Bangkok Airways (www.bangkokair.com, Tel. 1771) filies directly from Bangkok to Naypyidaw 3 times a week on Monday, Wednesday, and Friday. Tea, scarfs, silverwares, Thanaka, traditional Myanmar snacks, etc.